A thoughtful and contemporary design ensures entertaining and daily life are harmonised, with the benefit of multiple living zones in a family-friendly neighbourhood, this wonderful property is what dreams are made of! Set in the heart of Hastings on approximately 780sqm, it’s only minutes from the town centre, parks, leading schools and easy access to Peninsula link. ~ The large master suite offers a touch of indulgence and includes a walk-in-robe and oversized ensuite with a twin vanity and spa bath. ~ At the opposite end of the home there are three further queen-sized bedrooms with built-in robes, plus a home office or fifth bedroom. ~ Open plan lounge, dining and impeccable chef’s kitchen equipped with 900mm stainless steel oven, glass splash back, dishwasher, double fridge cavity and stone benchtops. ~ An expansive family and meals area opens to an impressive outdoor entertaining deck with brand new remote café blinds. 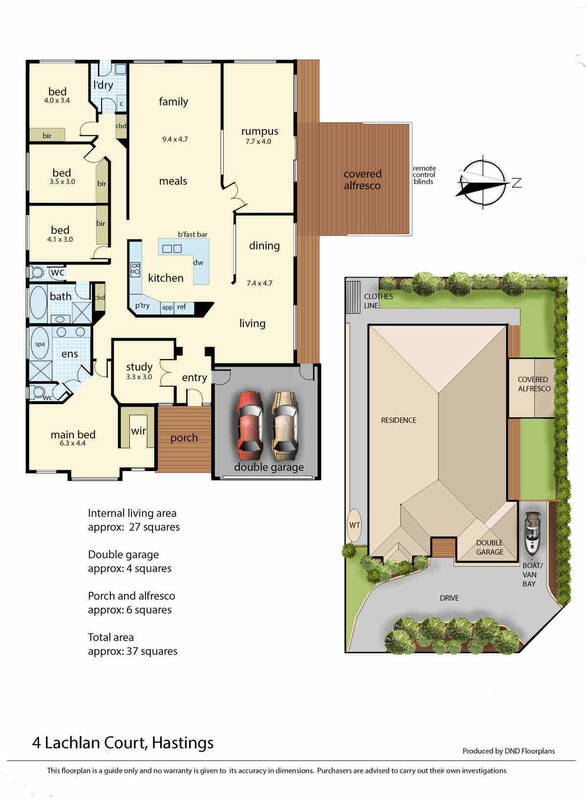 ~ The third living zone is a versatile space that can be utilised as a rumpus room or parents retreat. ~ Climate controlled by ducted heating and evaporative cooling. ~ Low maintenance lawns and established gardens. ~ Double garage with internal access. ~ With side access to the backyard, there is plenty of room for boat, caravan and work vehicle accommodation. ~ Further features include gas boosted solar hot water and 8 solar panels.